In its day, this 1969 Super Bee must have been one very impressive piece of machinery. When the car rolled off the production line in 1969, there were a few very nice options being offered by Dodge at competitive prices, and these were aimed at landing sales for the Super Bee, especially among the younger buyers. 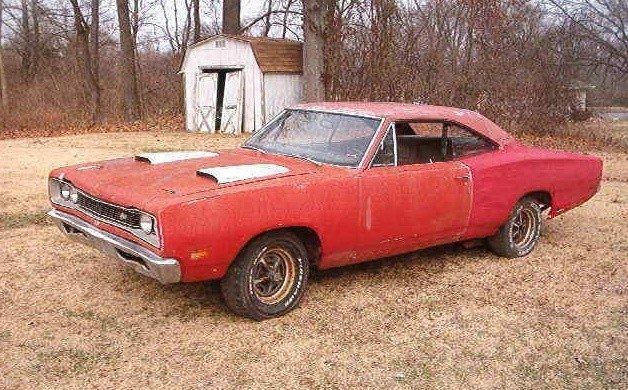 This particular Super Bee was the recipient of a couple of these options, and these would make this a desirable car once restored. Located in Saint Louis, Missouri, it is listed for sale here on eBay in a no reserve auction. 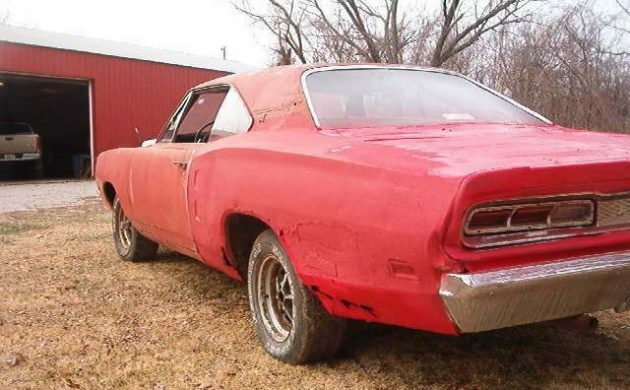 The new owner of this Super Bee is going to be faced with a full restoration, and while it isn’t the worst that we’ve seen, it is still going to require a stout heart to tackle it. The frame appears to be quite solid on the vehicle, but it will require new quarter panels, a new trunk floor, possibly new front floors, and some rust repairs to the rear bumper cross-member. It looks like there might be some rust in the bottom corners of both doors and fenders, but these look like they might be able to be repaired. 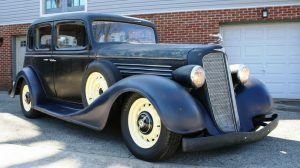 This car rolled out of the showroom with the A39 option, which was also referred to as the “Skat Pak.” This gave the car chrome hood pins, 3-speed wipers, an optional vinyl top, special hood paint, and the highly desirable N96 Ramcharger hood. This car did come with the optional vinyl top, and in this case, it was white. Today it’s hard to believe that the whole package cost a mere $186.70 on the Super Bee in 1969. 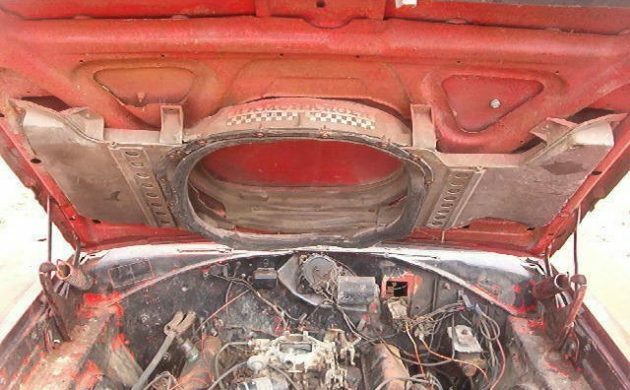 The bad news under the hood is that the original 383ci engine is long gone. In its place, there is a 1965 vintage 413ci V8. This engine turns freely, but it is a bit of a kick in the teeth when I was hoping that this was a numbers-matching car. The news is no better with the transmission. The original 4-speed unit is also gone, and in its place is a 4-speed which is dated as 1968. However, it does appear that the original Sure Grip rear end is still there. There is a glimmer of good news in that all of the original Ramcharger ducting is intact. However, the original air cleaner is also missing. The interior of the Super Bee continues the sad and sorry scene, but it isn’t all bad news. It’s pretty obvious that there is some work needed, but at least the Rallye Gauge cluster with the Tic-Toc-Tach is present. The rear seat is also there, although the original front bench seat isn’t. There’s really not a lot more we can learn about the interior, but at least in this shot, we can see the extent of the rust in the front floors. It’s a real shame that this Super Bee isn’t a numbers-matching car, as a Super Bee that is fitted with a 4-speed transmission and a Ramcharger is a highly desirable vehicle. Then again, if this was a numbers-matching car, I highly doubt that it would be listed for sale in a No Reserve auction. At the time of writing, bidding has reached $4,150, and it has been quite lively. I’m really not sure where bidding is going to end up on this one, so does anyone want to take a guess? Anybody that has driven the price for this car that high can’t know what they are buying! There’s an awful lot of work that needs to be done to just make the car drivable and even then it will gets be a ghost of its past. You can buy much better example for less or equal amount of money that don’t need anywhere near as much work. Not for the faint of heart- shame to see in this condition. Having said that, the mill that’s in it would keep you in a well known Beachboys song It’s no Hemi but you could make the purists cry in their Lattes. I don’t think you are going to find a much better Super Bee for that price. You may find another Dodge with a similar body style and a 318 in better condition, but even that may be hard. They just don’t make these anymore. All of the rust-free examples for cheap are gone. Break out the welder and repair it, but know that it’s for fun and not profit. Both from personal experience and what the pics show I know they like salt AND bondo in Missouri.Framerails and floors are surprisingly intact though,cred to seller for posting so many pics from underneath. 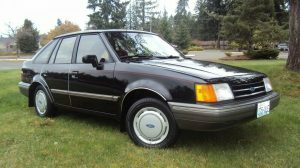 Considering all the missing OE bits and the $ required to turn this into an acceptable safe car, there’d be several clone Wanna-Bees or lesser Coronets 20fters in the market that would make lot better purchases. As of writing bids exceed 6k.Hadn’t bidding been driven up it could been a usable starting point for a SKILLED amateur to turn into some pro-touring project where originality isn’t an issue.Wonder if bidders REALLY know how much work will be needed…? I think it is another one of those cars that you are better to buy in better shape. I would think $40K would buy you a very nice car. 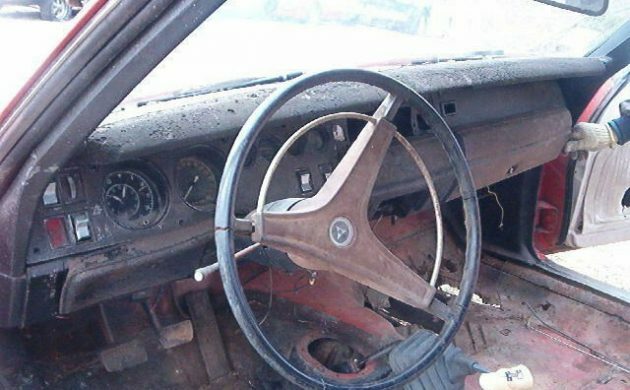 I hate cars that have been restored when they were in crap condition like this before restoration. The car is a parts car to me. If you leaned anywhere on the back of this car, it would collapse like tissue paper. 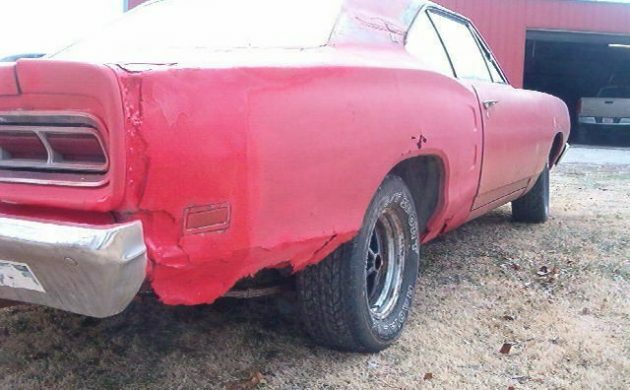 It’s unbeleiveable my 2nd car in 1974 was a $500 69 Super Bee with a 383AT and the ramcharger hood, a little bit of rust at back wheel wells from Indiana winters, otherwise great paint and interior, mags on back and original dog dish caps on front. I wrecked it and after it caught fire it ended up in a scrap yard after I pulled the engine. I’d love another one, but it will probably be a self made clone if I ever get done with my big list of projects now. Dang, I just counted, I have 22. Ouch, this bee is hurtin! Sure hope the price doesn’t get out of hand,looks like the Duke boys were driving! I’ll take the 413 over 383 any day; buy a Coronet drop in the 413 do up suspension etc. and you could have a fast fun machine with an engine you don’t see every day. Agreed. 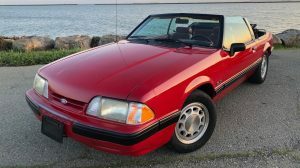 All this craziness about value in what originally was in the car is hurting the hobby for regular guys. Buy something cheap, fix it to your liking, and enjoy, and damned be the value. Isn’t that what the hobby is all about anyway? Isn’t that what we all remember from when we were young? Didn’t we all have a lot of fun in those days? At least it has something under the hood that’s interesting, instead of some 318 conversion when gas became an obstacle for these high powered machines. 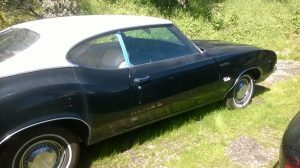 413/426 street wedge, or 440 would be a nice upgrade from the 383, for me anyways….4 speed or 727 automatic the Dodge guys had it pretty good either way didn’t they. As for the rest of the the car, well…. car ” , that killed it for me.